The Burton Lambent Hotel Safe has a recommended cash rating of £1,000 and valuables worth £10,000. 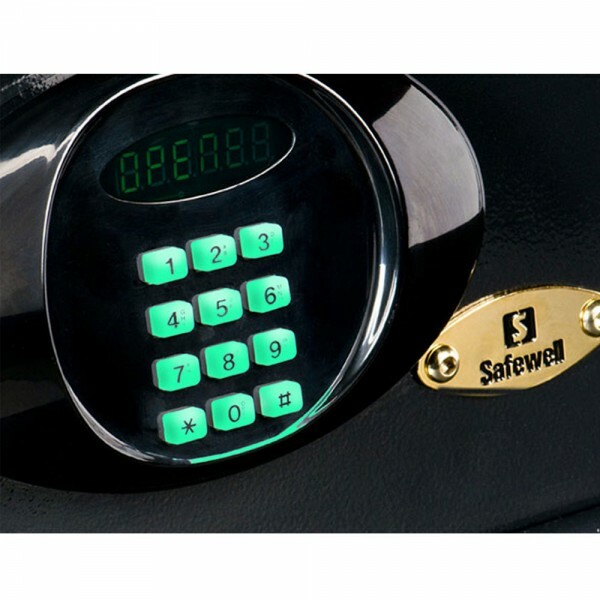 It is fitted with an electronic lock with motorised locking and enables guests to choose a 3-6 code of their own. 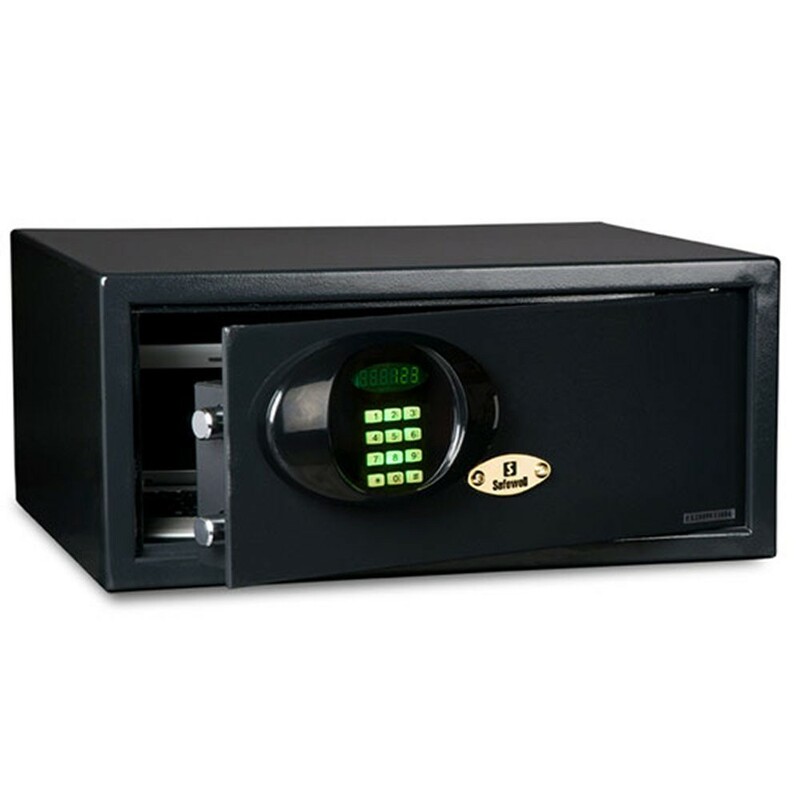 Furthermore, the safe has a display screen and a illuminated keypad for ease of use. There are master codes and emergency keyed alike keys available which can be used to change a forgotten code or open the safe. 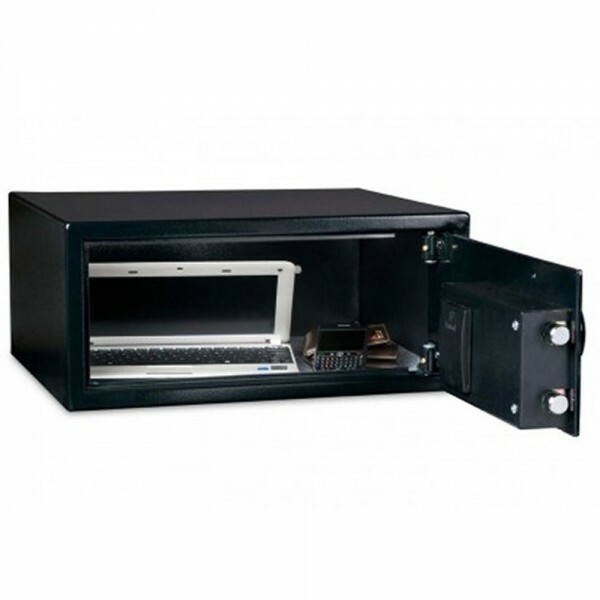 The Burton Lambent Hotel Safe can accommodate a 17 inch laptop.